Bulls Tourist Service Lewis bodied Leyland Leopard (I may be wrong about it being a Leopard) used on the Cooper Pedy - Alice Springs run. No it was not a Leopard, it was amazingly enough a Leyland Hippo truck chassis (second hand - probably ex wreckers), heavily modified by Lewis Bros in their Provident Avenue workshops at Glynde in Adelaide. The trailer chassis was new and both bodies were also built by Lewis - the trailer was for freight and the front passengers and under floor freight/luggage. The chassis was fitted with a new Leyland 0690 Power Plus Engine ( the turbo charged version of the 0680), mounted vertically just behind the front axle, where the body (& floor) rises, to provide sufficient clearance and driven through a 14 speed Roadranger gearbox. A second small Perkins 4 Cyl diesel engine was also mounted vertically - right at the front to power the airconditioning. It used to get a real flogging on the Adelaide to Alice Springs part the service to Darwin, the road was not sealed then and the drivers pushed on in all conditions to keep up the tight timetable. It was a pig of a thing to drive (all my experience was only around Adelaide ferrying it to & from Bulls on the Port Road at Albert park & Glynde where repairs and seemingly rebuilding were carried out after most trips) - the level of power assistance to the steering varied for no apparent reason, the multiple gears were a bit difficult to master, if you weren't a truckie and things were always wrong with it. Once, when I was driving past the Cheltenham Racecourse the rack on the fuel pump collapsed or jammed and the engine began to run away (the revs just kept buiding up & up) - amongst all the traffic I was lucky enough to get it back into a gear (because all this happened during a gear change) and stall the engine - otherwise it would have simply blown up. If my memory serves me correctly, in the end the trailer was abandoned and the front part rebuilt as a conventional coach, but it rode badly with a very hard rear truck style suspension. If any of you would like more information about this or any other of the wierd and varied home grown fleet of Lewis Bros and it's subsidiaries Bulls & Salisbury Passenger Services please let me know and I will endevour to assist. Tim Williams wrote: If any of you would like more information about this or any other of the wierd and varied home grown fleet of Lewis Bros and it's subsidiaries Bulls & Salisbury Passenger Services please let me know and I will endevour to assist. I think it would be of interest to a lot of people (not only from SA) to see pics and info about an operator who built and butchered their own buses, I have seen pics of some of their fleet and these vehicles look very odd, some built with bits & peices from other vehicles. 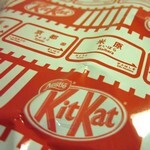 Wow what an amazing "coach" ... thanks for your info Tim, very fascinating! Many thanks for the post. I'm totally fascinated. Would anyone know when Bulls commenced their Adelaide Alice Darwin service? Yes please. What was the first full bus that they built? Hi I'm pretty sure I own the Cunningham bus in the picture. It is now blue but you can see the maroon in places and where the Cunningham stickers were. It is fitted with PD6t engine 5 speed box and 2 speed diff. Any info on this bus would be appreciated. Hi Tim.Love the photos.Would love to see a new topic posted covering all the variations,it would make for an interesting topic.Maybe we can start a topic on weird buses and coaches covering altered/modified buses and coaches. 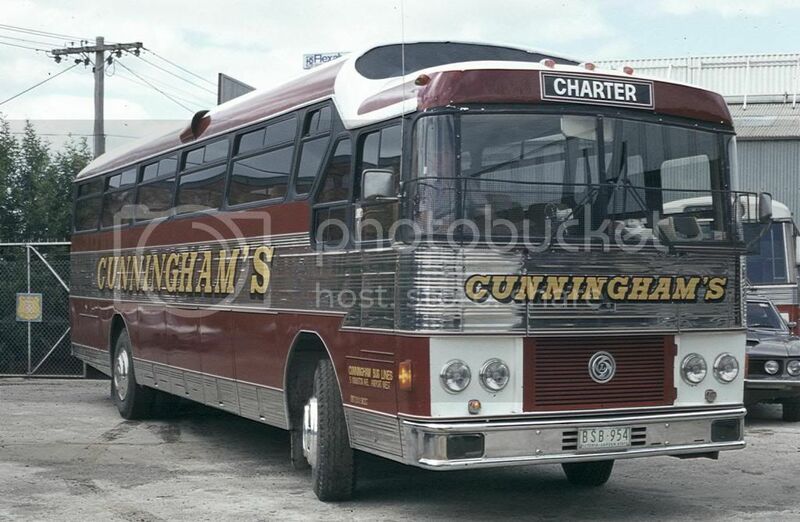 All Quest tours buses were sold off from the end of the school year in 1985 including the charter licences and school runs.The only vehicles that were retained were coaches for "Across Australia Coachlines" and Quest Tours".Max Winkless owned them.